Sometimes I hate to turn on the news, for fear of more bad news. Well? It happened again last night. 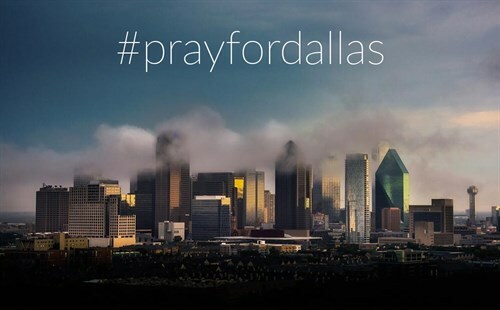 My prayers go out to all who have been affected by the tragic events of last evening. It is getting quite scary out there, but we must go on in unity. Yes, yesterday was full of stressful news! I'm surprised that protests are still happening in cities tonight after last night's shooting. Won't people ever learn? I do not like protests. I don't think they solve anything but create more negativity and get a bunch of angry people together to spread their message of hatred. I'm glad that my oldest son has decided not to persue becoming a police officer. He is changing his major in college and not considering anything in the criminal justice field now. I think he's going to play it safe in the "business world" now. ha! My son has a degree in justice and corrections...and is a responder with a dangerous job. I just hate all of it...So much danger out there to keep our world from completely imploding. I grew up in the fifties and sixties...and part of me just wants to go back to a simpler world. Well, maybe all of me wants to go back. Maybe it was more complicated...but I was a kid and did not know. Children today are growing up with so much stressful news in their world. oh my. like you said...Pray Y'all. So much sadness Ron. I am like you and fear turning on the news at night. So overwhelming with all this senseless violence going on. I pray for the families and friends of all the fallen officers. Just so sad. Tragic. How horrible for the families. I'm praying for all my police officer friends.